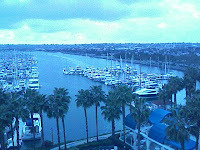 The Data Management Symposium in San Diego kicks off on Sunday, March 16. The ICCP will be proctoring CDMP exams at the conference and Pat will be presenting a session on certification. This year, special ribbons will be available for CDMP holders to proudly display on their badges. For those who can't attend, I'll be blogging here with breaking news and observations from the conference, so stay tuned! Would you trust this guy with your data? DAMA Data Dictionary Now Available!